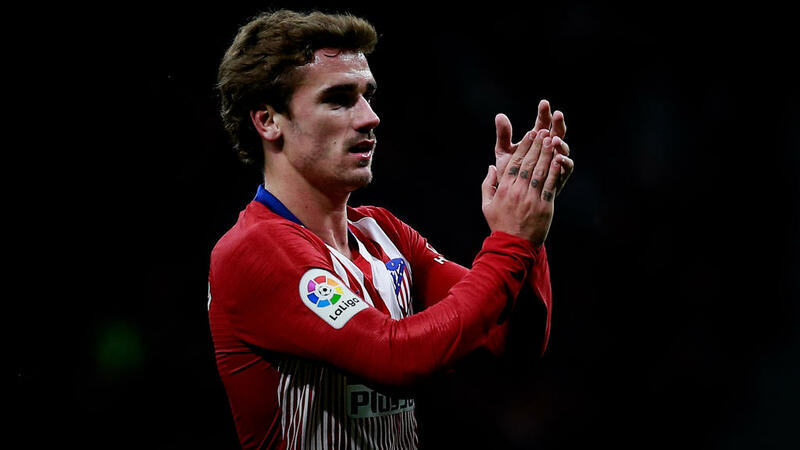 Antoine Griezmann scored a brilliant free-kick but Atletico Madrid missed the chance to go top of La Liga on Saturday after drawing 1-1 at struggling Leganes. Griezmann's bending effort in the second half looked likely to prove the difference in a contest short on chances at Butarque but Guido Carrillo's 82nd-minute equaliser earned Leganes a deserved point. Atletico could have moved above Barcelona, for a few hours at least, but instead Diego Simeone's side sit a point behind the league leaders, who face Rayo Vallecano later on Saturday. Leganes remain 18th and without a win in five matches. Diego Costa, Diego Godin and Koke were all struggling with injury and absent from Atleti's starting line-up, perhaps not deemed worth the risk, with a crunch Champions League clash at home to Borussia Dortmund to come on Tuesday. Atletico sit second in Group A, three points behind the German side. But a stuttering run of form will be a concern too for Simeone, whose team were thrashed by Dortmund 4-0 only nine days ago and have now failed to beat Leganes, who are fighting relegation. "We played for more and wanted more but have to settle for a point," Simeone said afterwards. "The feeling is bitter-sweet," added Saul Niguez. "We know it is in these matches where the league is decided. Leganes played a great first half but we have to be more ambitious and should have won." Neither side managed a shot on target in the first half and both goals came from set-pieces in the second. Griezmann's strike in the 69th-minute would have been a worthy winner, the Frenchman curling a left-footed effort away from the rooted Pichu Cuellar and into the corner. But Atletico never looked like putting Leganes away and instead the hosts equalised as Rodri Tarin peeled free at the back post, his finish cannoning down off the crossbar for Carrillo to bundle in. Griezmann might still have won it for Atletico in injury-time but sent Filipe Luis' cut-back flying over the crossbar from eight yards out. Simeone twisted on his heels, with his head in his hands.